The Walk This Way – Talk This Way team was the brainchild of Grahaeme Jones, who recruited Dave Nicholls to help organise a series of events. 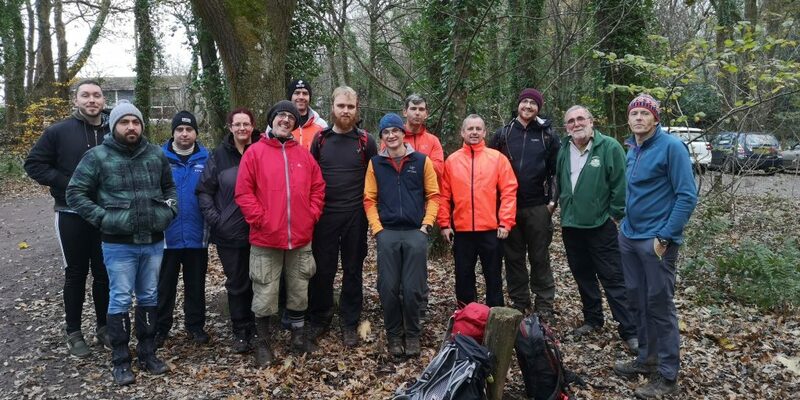 Over the course of 12 months, the team, joined by colleagues, family and friends, undertook a series of 12 walks in 12 months in order to raise awareness of mental health issues, and the Movember campaign. Nothing though, not even 12 different walks, could have prepared the team for their biggest undertaking – their final walk. The idea was simple, jump in a minibus, drive to Lizard Point, and walk back to Newquay within 24 hours. 50 miles, 24 hours – as long as the average pace was 2.08 miles an hour, it would all be fine. So, on the 16th of November 2018, the team jumped on a minibus in the Tretherras car park, and headed for Lizard Point to commence this mammoth challenge. The challenge started at 19:20 on the 16th, setting out in the dark using head torches to guide the way, navigating along the coastpath towards Porthleven. The team were supported by John Nicholls, Dave’s Dad, who met them at several points along the way with kettles boiled and coffee on offer – a real lift after a few hours in the darkness of Cornwall. 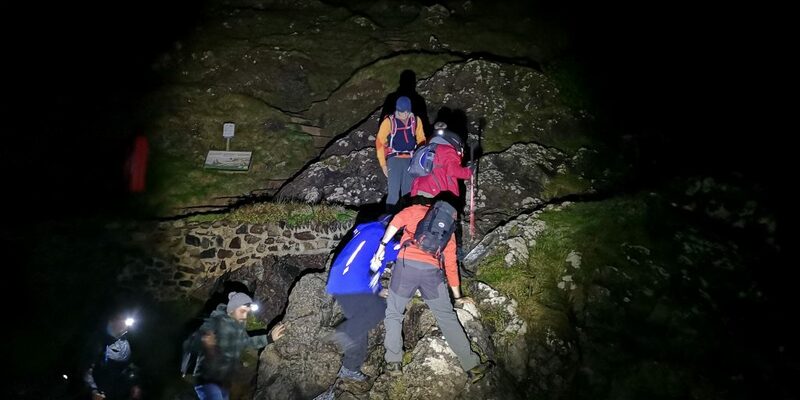 Despite the darkness, the team pressed on through the night, walking through Kynance Cove, Mullion and Church Cove, before reaching a diversion around Porthleven which caught them a little off guard. Thanks to some expert navigation from Chris Lucas, Chris Gard, and Jake Blum though, the team were soon past it and carrying on their way. Turning inland at Porthleven, the team crossed country, heading through Breage before eventually following a path through Tehidy Woods, and on to Portreath – by this point the team had decreased from the initial 12 walkers who set out, to 8, with 6 walking whilst 2 took a well-earned break in the bus. At this point, Grahaeme Jones knew he was done having injured his knee, but he encouraged the rest of the team onwards, pushing them to keep going. 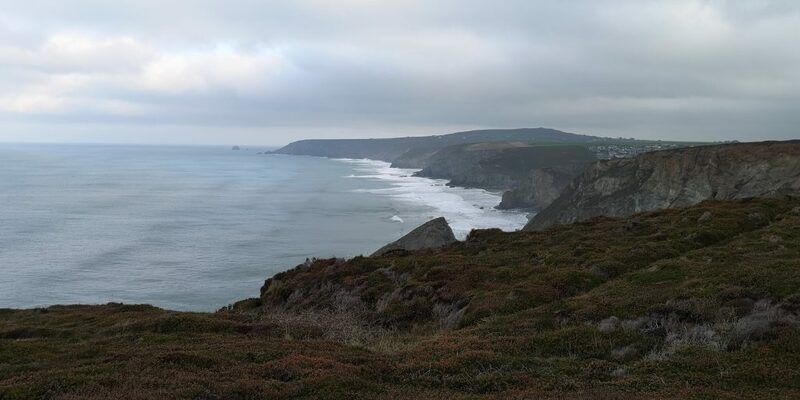 The North Coast presented the biggest challenge, undertaking some serious climbs between Portreath and Porthtowan, further hammering tired legs and exhausted minds, and really pushing everyone to their limits. By the time the team reached Porthtowan they were very ready for the bacon sandwiches which met them, crafted by Sian Nicholls and Amy Doyle and delivered out to the walkers en-route. Regardless of bacon, by Porthtowan, Dave Nicholls was also done for, collapsed in a heap against a wall, but still encouraging the others onwards to keep pushing. 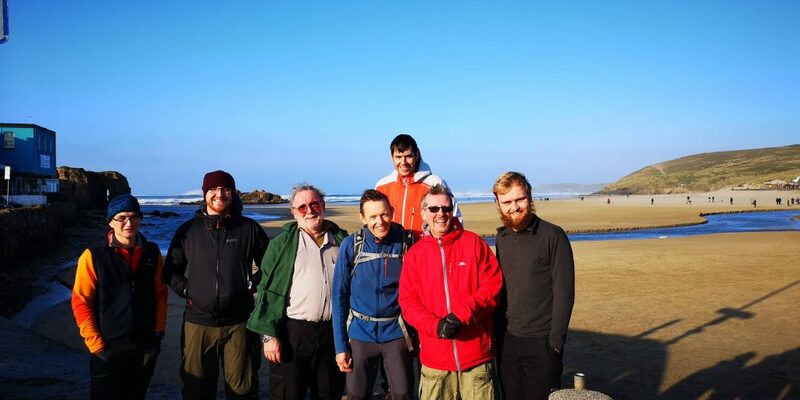 Eventually, by Perranporth the team knew they were finished – the walk had taken its toll on knees, feet, backs and minds, and the decision was made to call it there. The total miles walked worked out somewhere around 43 (ish), so no one felt it was a failure – it was a demonstration of what a team can achieve when they set their mind to it. Dave Nicholls who planned the event said “I’ve undertaken many walks in my time, but nothing on this scale, or of this difficulty. 12 hours of darkness was relentless and really drained the energy from everyone on the team, so when coupled with Cornish Coast Path which is tricky at the best of times, really pushed everyone to their absolute limits. I’m exceptionally proud to have been a part of this team and this walk, and to have walked with the guys who came along – it was an experience I’ll never ever forget”. Walkers: Grahaeme Jones, Dave Nicholls, Henry Wharton, John Griffin, Clive Vallance, Chris Lucas, Chris Gard, Jake Blum, Alison Diffin, Daniel Jones, Gareth Price, and Scott Kennedy. The team have so far raised £1,810 in fundraising for mental health charities, and are continuing to collect any donations which anyone might want to offer. 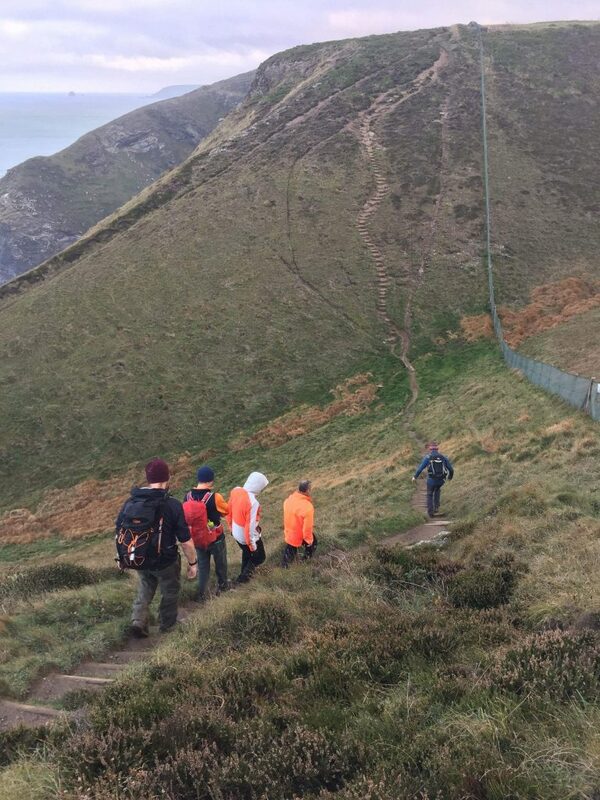 They have a JustGiving page at https://www.justgiving.com/companyteams/Walk-This-Way for anyone who would like to donate.